Underwriters Laboratories (UL) Listed AC Adapter USB Wall Charger. 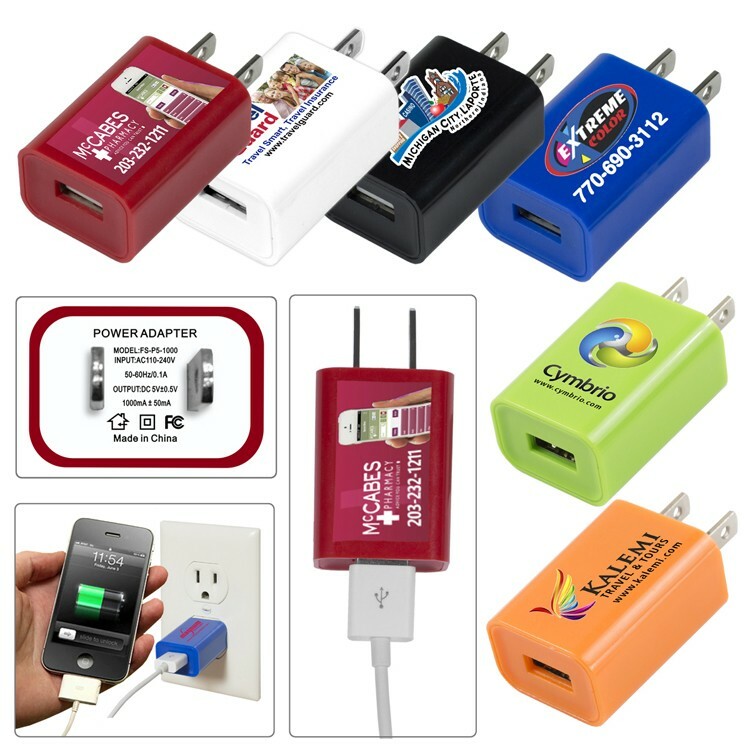 Plug in and recharges your cell and mobile phones using a wall socket outlet. It comes in a compact travel size, but with a large imprint area. Output: 5 Volts/1 Amp. Not recommended for use with tablets. Available with a spot color or 4 color process imprint. UL File #E476677, XRN Series - The USB Wall Charger and all of its components, standards and performance comply with the rigorous standards of the UL, the premier product safety, certification and testing laboratory in the World. 51274 - PhotoImage ® Full Color Setup Charge: $55.00 (G). PMS Color Match Charge: $40.00 (G) per color, not available for Full Color Imprint. Email Proof Charge: $7.50 (G), add 2 days to production time. 51274 - PhotoImage ® Full Color: Price Includes: up to a Full Color Imprint.